The problem of text. Theater and Performance. Joseph Danan ponders over the evolution of text —in particular text for theater— in a contemporary scenario marked by performance, a form of expression that prioritizes the here and now and demands the public’s presence. Revisiting Antonin Artaud as well as performance artists such as Joseph Beuys, Chris Burden and Marina Abramovic, Danan retraces their steps in theater productions by Angélica Liddell, Thomas Ostermeier and Romeo Castellucci, and even in improvisation groups. He also discusses what may appear to be a veritable mutation that questions drama’s fundamental categories (mimesis, fiction and the character): in what terms can the dramatic find its place nowadays? Type of activity: Conversation with the audience. Conference and book presentation by Halima Tahan Ferreyra. Joseph Danan is a Professor at the Institut d'Études Théâtrales (Université Sorbonne Nouvelle - Paris 3), as well as Assistant Director at IRET (Institut de Recherche en Etudes Théâtrales). Alongside Catherine Naugrette, he has directed a research group founded by Jean-Pierre Sarrazac, which deals with the poetics of modern and contemporary drama. 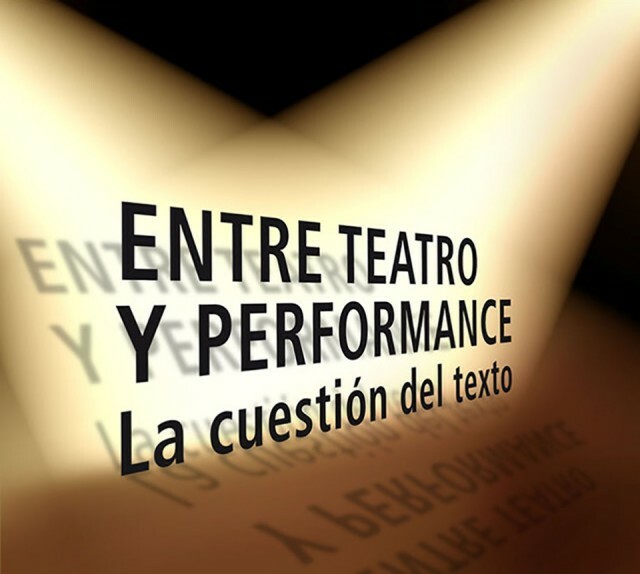 At present he is researching on new modes of theater production and the role of the text in the contemporary scene. He has published several essays, such as: Le Théâtre de la pensé; Qu’est-ce que la dramaturgie? ; L’Atelier d’écriture théâtrale, co-authored with J.P. Sarrazac, and Entre théâtre et performance : la question du texte. Danan is a playwright and a poet, as well as a novelist.